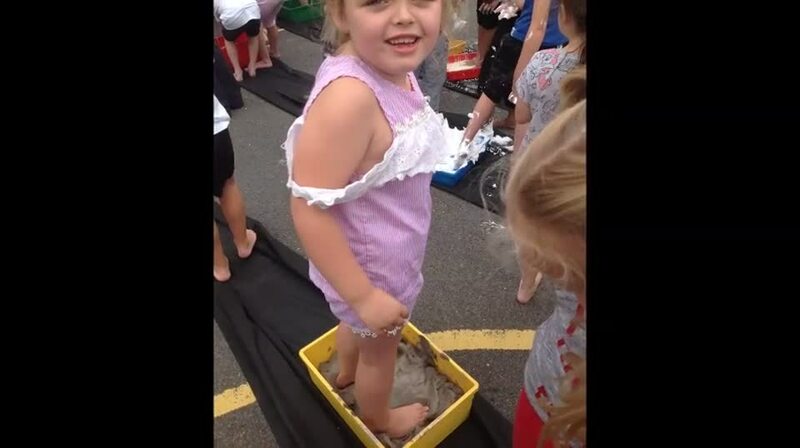 As the 'Engage' part of their first Cornerstones topic 'Muck, Mess and Mixtures', Year 2 enjoyed a messy afternoon! Doesn't it look fun! Attendance and punctuality are both very important in order to help your child feel happy and settled in school and also for them to make the most progress throughout the year. The responsibility to get your child into school every day lies with the parents and we urge you to do the best you can to get your child into the habit of good attendance. School starts at 8:50am and ends at 3:15pm. If your child is not attending school we ask you to phone the office before 8:50am that morning so that we are able to enter this information on the register and do not have to record the absence as unauthorised. Holidays are now not permitted during term time. We have been told that we cannot authorise any holiday time at all. If time off school is needed this can be discussed with the Principal. Thank you for all making such an effort to ensure your children wear the correct school uniform. Please note that shoes should be black and not have any other colours on them. We ask you to make sure that all uniform is clearly labelled with your child’s name as lots of time is spent trying to locate missing items at the end of the day, particularly jumpers! Your child needs their PE kits in school all week. We suggest that it is left on their peg and again please ensure each item is clearly labelled with their name. Although each class has set days for PE, we may have extra practises and activities which is why we ask that it be kept in school. Year Two will have PE on Wednesdays and Fridays. Reading homework in Year Two has two different elements. A reading book will be sent home in your child’s reading packet along with their twiggler. Please try to listen to them read at least twice and record this in their twiggler. There is no written homework with this book, however please ensure your child can read it confidently before they hand it in to change for a new one. New reading books will be handed out on a Friday. Please help your child to remember to bring their reading packet to school every day so we are able to record any comments in their twiggler during guided reading. The second piece of reading homework is the comprehension. The comprehension folder is given out on a Friday and must be handed in on Monday.Your child will be rewarded for handing this in on time. This homework helps prepare them for the SATs tests at the end of the year and teaches children to look for the evidence in the text to find the answer. If your child has any difficulties completing this, please let us know by writing in their twiggler and we will find an opportunity to go through it with them. Maths homework is now set online. The benefit of this is that it gives children instant feedback and allows them to revisit topics and track their progress. New homework will be set on Monday and must be completed by the following Monday. This homework is usually linked to what we have been learning the week before in order to help the children consolidate their understanding. There are opportunities to take tutorials on each topic if there are any areas your child is less confident with and there is a games section which they can access at any time. For those of you that don’t have access to the internet at home, please speak with your child’s teacher so that alternative arrangements can be made. Maths is an area we are focusing on across the school this year. Please see below for things you can do with your child at home to help support their maths skills. What can you do to support your child at home? Together with their homework, there are lots of other things you can help your child with at home to support their progress in school. Spellings – the key words. Can they write a sentence and spell the word correctly? Handwriting – can your children form all the letters of the alphabet (including capital letters) correctly and sit them on the line, showing the difference between their short and tall letters? Click on the link to find out what our topics are about.